Do you have a photo of this waterway? 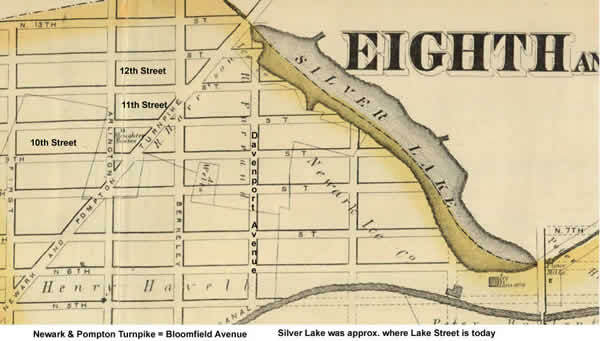 A body of water that ran from North Sixth Street and Heller Parkway to Bloomfield Avenue and North Thirteenth Street. A distance of half a mile in length and 300 feet in width. On July 30, 1889 the lake disappeared when the dam broke during a great storm.